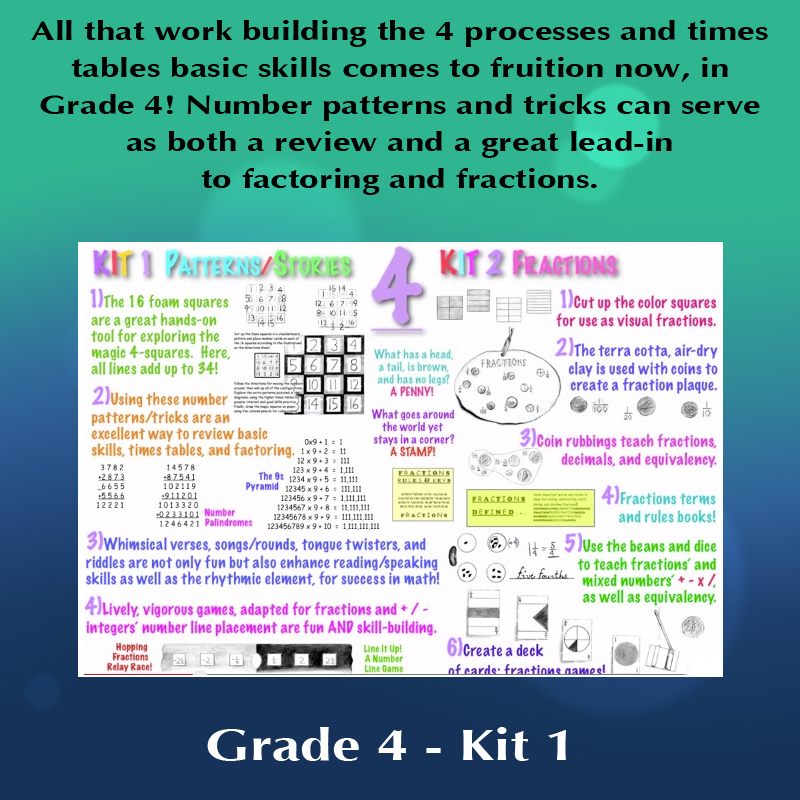 KIT 1: PATTERNS & STORIES explores exciting number patterns like magic squares, and also includes number tricks with suggestions and ideas for accompanying movement and illustration. 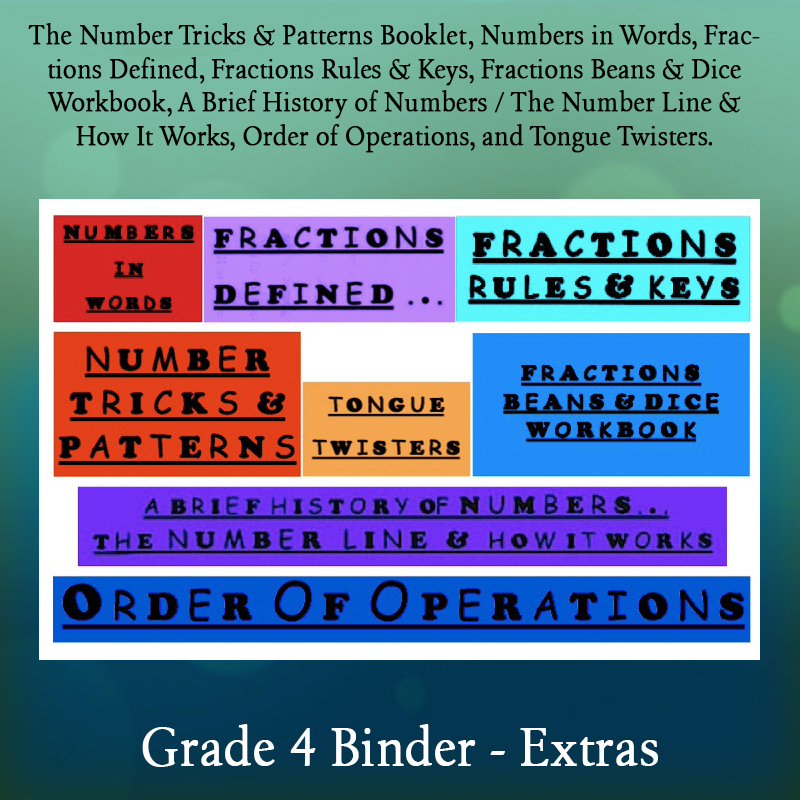 Mix old fashioned family fun with math, using classic verses, songs, riddles and tongue twisters. 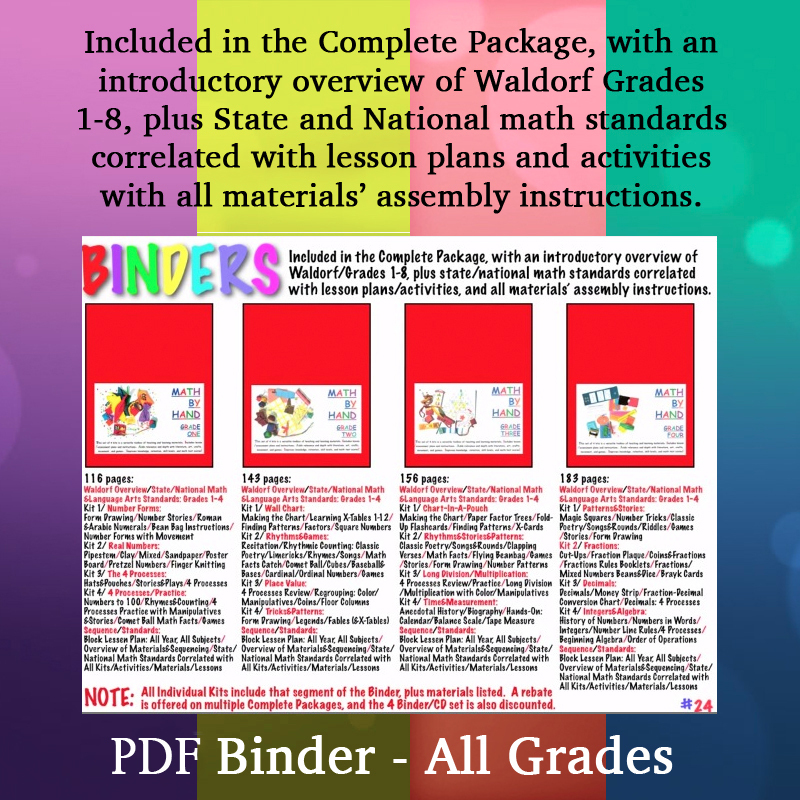 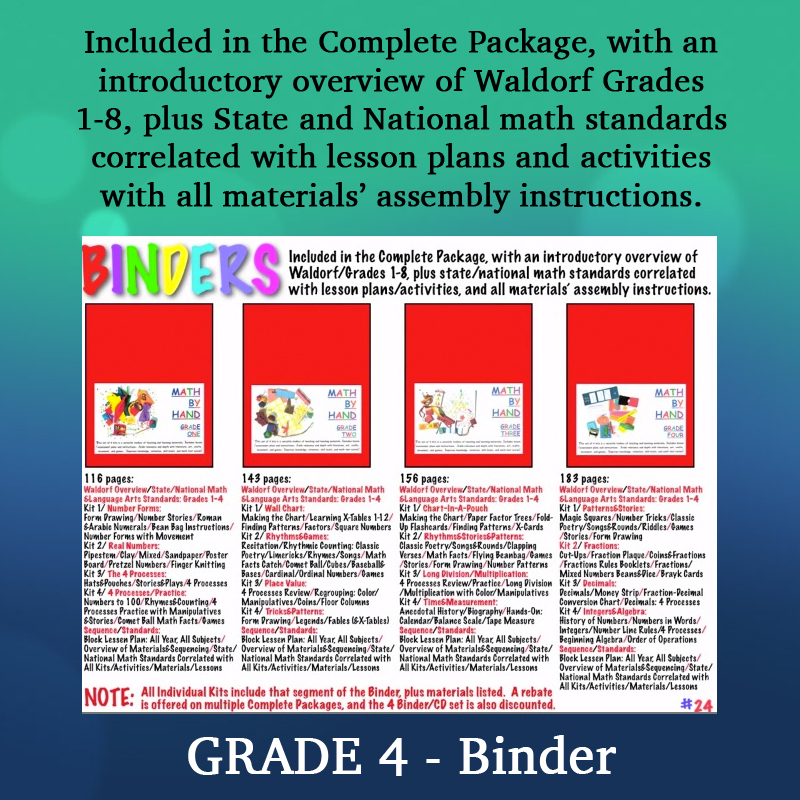 Games combine fourth grade homeschool math curriculum with play, while form drawing and stories add variety and enrichment to lessons.